Victoria Wills, the founder of NuBeginnings, battled with her weight since she was eight years old. 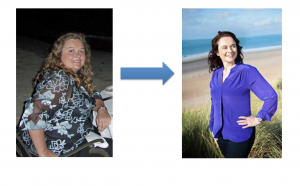 After many years of failed diets, horrible self-esteem and several excess pounds she finally decided enough was enough. She quit her job in London, moved to Devon and the started her search for a regime that actually works. She found it. Now she wants to share it with you. There isn’t a single thing she suggests or recommends that she hasn’t;t done herself. No two solutions are ever quite the same. We think she has a weird mix of science and magic. What she does works and I hope you will give her the chance to help you.